Nay, Gising! Stop Using The Dirtiest Item in Your Home. When it comes to food of course we always wanted it clean and safe especially when our kids eat it. But what if, it happens that the dirt that you are trying to avoid is not in your food but it’s in your plate instead? That sounds so strange, right? Apparently, it can be possible. Remember the time I conducted a giveaway about what could be the dirtiest item found in your home? Would you believe if I’ll tell you the right answer for this is letter F? Yes, you read it right. 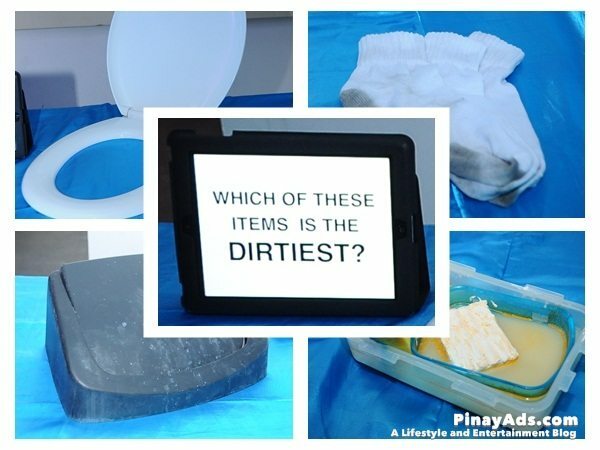 The answer for the dirtiest item that can be found in our home is the bar solution wherein most of Filipino moms thought that using this to wash our used plates or utensils is clean and can help us save our monthly budget too instead of buying a specific dishwashing soap. At an intimate media gathering at Fully Booked, Joy and Dra. 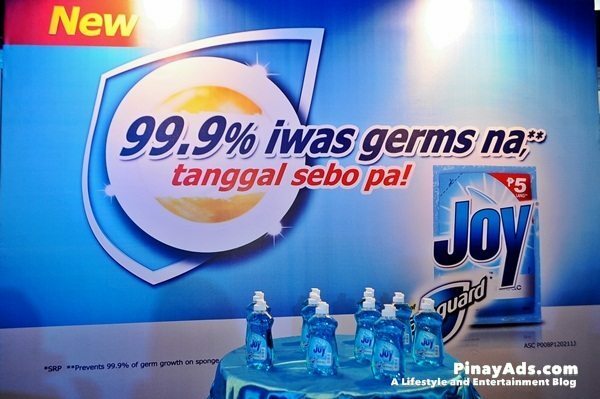 Jessica Simbahan from the Philippine Society for Microbiology revealed a survey that exposes the shocking truth behind dishwashing bar solutions. I was even shocked when I saw one of the event’s videos where a staff is washing a plate using his socks. Well, the event host, Duday Gallinguez, quickly informed us that what we were using is not washed using socks though. Together with that, a shocking revelation about bar solution has been exposed! That made me thought for twice if it’s for real or not. The bar solution consistently proved to have the highest level of contaminants among a list of dirty household items that included a toilet seat cover, a toilet bowl rim and a trash can lid. Results even showed that the dishwashing bar solution has 10x the level of contaminants versus a dirty sock. Sounds so strange but that’s the fact that people should know more about especially to those moms who used to use bar solution in washing their plates and utensils. “A dishwashing bar solution is a breeding ground for contaminants, including bacteria and other types of germs. This is especially true if the laundry bar is left exposed for many hours and the dishwashing sponge is constantly wet.” explained by PSM President Dr. Supachai Basit. And that made me realized that moms should switch now and change their usage of bar solution in washing their plates and other utensils instead. 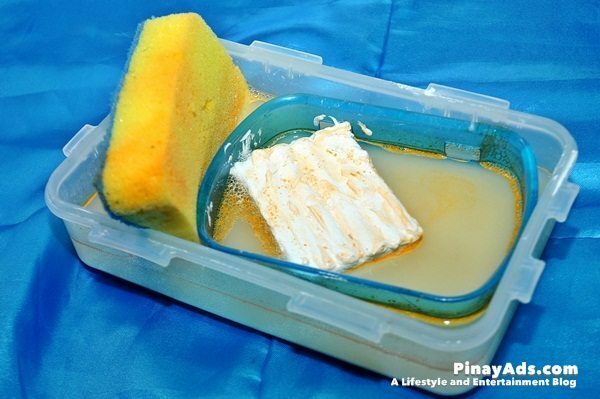 “Many moms in the Philippines use a dishwashing bar solution, which is made up their leftover laundry soap, water and a dishwashing sponge. These moms believe they are saving money by using their leftover laundry bar to wash dishes. 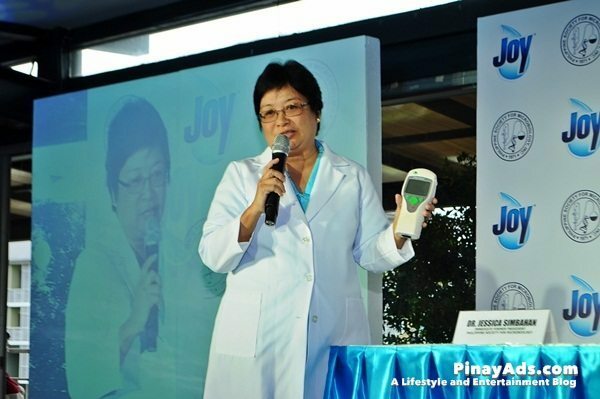 They do not realize that this bar solution is very unsanitary, especially when the bar solution is left exposed for many hours.” Ms. Ang (Joy Brand Manager) shared. As Joy launches “Nay, gising!” campaign to educate every mom to stop using the unsanitary ways of cleaning used plates and other utensils to protect their families from germs that may soon lead them to any form of diseases, PSM advise too that using the all new Joy Antibac with Power of Safeguard could save their family and as well live life with no worries! Through that, we can assure the health of our family. So, moms out there you better switch to all new Joy Antibac with Power of Safeguard before it’s too late! 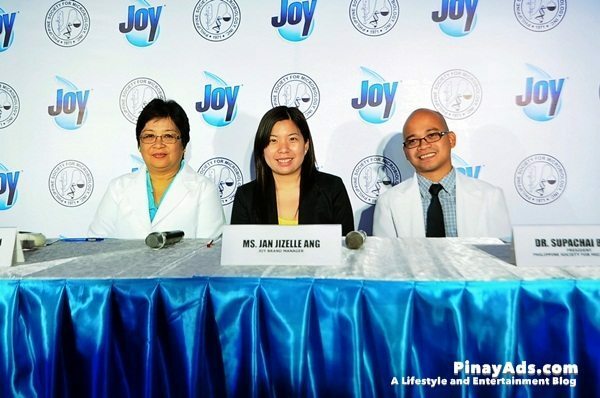 Miss Ang told us too that the dining ware we were using has been cleaned with Joy Antibac with Power of Safeguard which diverts our thoughts about the food and its plate being used to positive from germ free. And indeed, we really enjoyed our food and of course the event too. 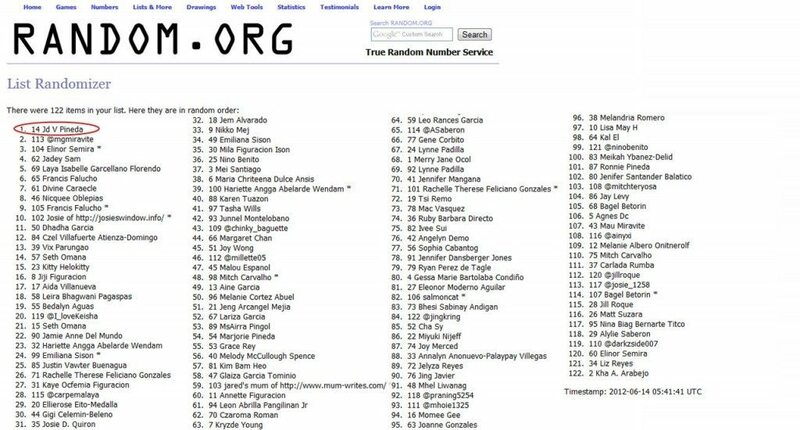 Out of 122 correct entries the winner is Jd V Pineda. He was randomly selected using random.org! Congratulations Jd, you won Php1,000 worth of Joy Antibac products! Please email me (using the contact form) your shipping address and details. Thank you also to those who joined the poll! I can’t really imagine….. We were eating it all along eh? almost #6 =) congrats to Jd winner.